Peabody has been providing high-quality homes for Londoners since 1862. In that year George Peabody, a wealthy American banker and philanthropist who had made London his home, launched the Peabody Donation Fund with the first of several gifts eventually amounting to half a million pounds. Join us for a tour of three Peabody mid-C20 estates in London. They are all in Islington: the first two - Priory Green (Tecton, 1943, completed by Skinner, Bailey & Lubetkin in 1957) and Muriel Street (LCC Architect's Department,1964) - are near King's Cross, and the third one -Roscoe Street (John Grey & Partner, 1954) - is on the edge of the City. The morning will start with an introduction by James McHugh, Peabody's Planning & Policy Manager, and presentations by Christine Wagg, Peabody's Historian, and Guin Dimock, their Design & Quality Manager. Christine Wagg and James McHugh are co-authors of the recently published book 'Homes for London: The Peabody Story' (Strathmore, 2018). We will be able to visit communal areas, have access to balconies at various blocks and gardens, but there will be no internal access to individual properties. 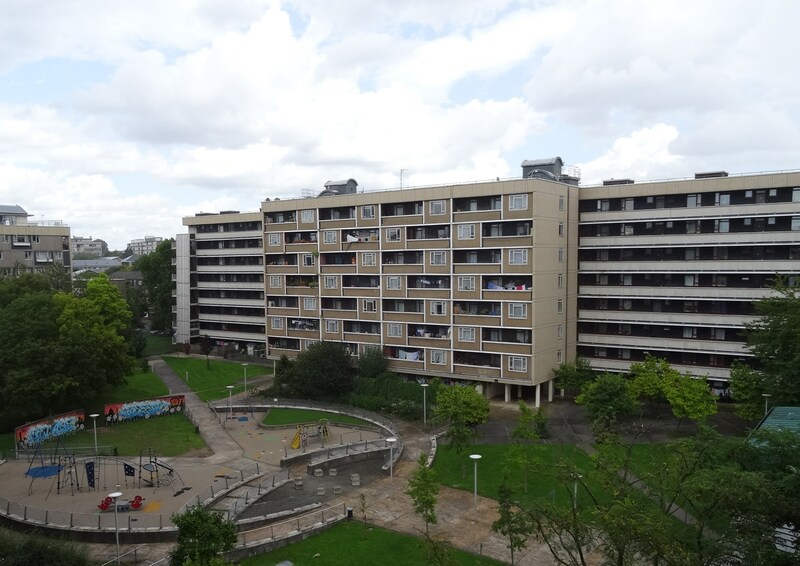 The Fund’s original purpose was to create better housing for ‘the poor of London’. Since then Peabody has stood at the forefront of the social housing movement in the capital, pioneering imaginative design and, in recent years, delivering a wide range of community programmes. The tour will include a short tube journey (not included in the price) on the Metropolitan and Hammersmith & City lines from King's Cross to Barbican or on the Northern line to Old Street. Please bring your Oyster card or debit card to tap in for this journey.